Annie Wright's separate Upper Schools for boys and girls offer day and boarding options in Grades 9 through 12. We offer rich, thoughtful and internationally-recognized programs that welcome students from around the world. 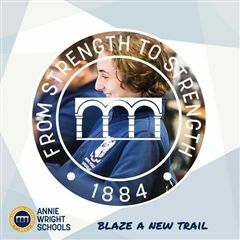 While our web site offers a glimpse into what life and learning at Annie Wright are really like, we encourage you to visit our campus, which will give you a stronger sense of our vibrant community. Attend an upcoming preview to learn more about our programs and community. At the preview, you will tour our campus and see students and teachers interacting during a regular day of school. The program will include meeting school leadership, plenty of time for Q & A, and the opportunity to learn more about how students thrive at Annie Wright. Previews begin at 9:30 am and conclude at 11:30 am. Students applying for Grade 9 are invited to attend the 31st Annual Scholar Search. 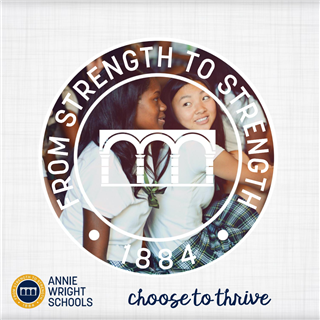 This is your chance to get to know Annie Wright Schools, our two Upper School programs (one for boys and one for girls), and for us to learn about you, too. Best of all, this is the only time in the year that we award merit scholarships to attend the Upper Schools at Annie Wright, and attendance at Scholar Search means you’re eligible for these awards. Throughout the visit you'll meet other students, explore our beautiful campus and interact with our exceptional faculty. You’ll get to know current students and potential future classmates. You'll visit classes and attend the most outrageous Lip Sync contest ever. Scholar Search is free of charge, but preregistration is required and space is limited. A completed online application packet, accompanied by the non-refundable application fee is required to initiate the formal application process. Completed applications will include a copy of the applicant’s official school transcript for the past two years. The online application includes a downloadable Request for Transcript & School Evaluation Form. Please have your most recent school(s) complete this form and send an official school transcript directly to Annie Wright. Note: Schools often require as long as two weeks to complete transcript requests. A Math and English teacher online recommendation form must be completed by the applicant’s current or past teachers. The Teacher Recommendation Requests are included in the online application and require the student's current teacher’s email address. Completed recommendations are submitted electronically to the admissions team upon completion by the teacher. Campus visits are strongly encouraged. If a campus visit is not possible we will coordinate a skype interview. This exam will be used for admissions and if appropriate, course placement upon your enrollment. Annie Wright Upper School welcomes students from around the world, and our vibrant and nurturing boarding program makes students feel at home. Learn about our ESL Program. For questions or to schedule a campus tour, contact Admissions Associate Maddy Mancuso at 253.284.8603 or maddy_mancuso@aw.org.